Manuel Carona's concession is spectacular! 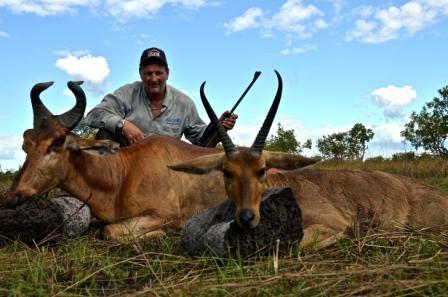 He has perfected it over 10 years of successful safaris. Don Loewen had successfully hunted Lion, Buffalo, and Elephant, but he had been unsuccessful on more than one try for Leopard. 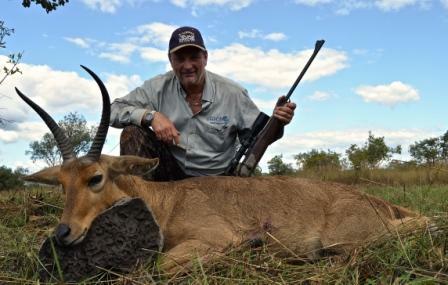 But hunting with Manuel last month, he shot a beautiful, big Leopard during the first week of his two-week safari. 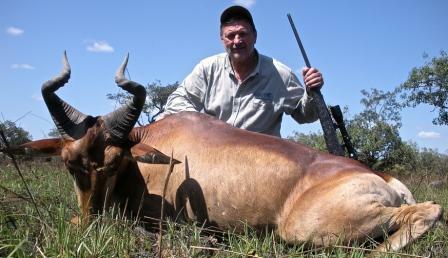 So what to do with the rest of your time when you have shot almost everything on numerous prior safaris? 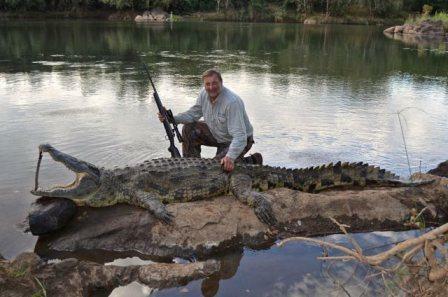 A big Crocodile is one of the toughest animals to shoot in Africa. With his Leopard out of the way, Don and Manuel concentrated on finding a brute ... and they succeeded with a great 15-footer. 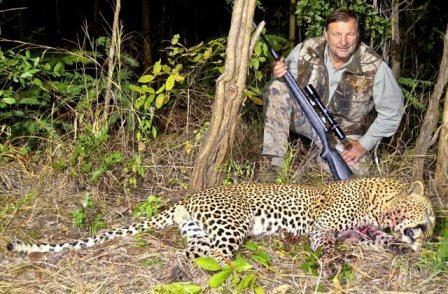 Since Leopards are hunted by baiting in Mozambique, Don shot several pesty, but delicious (to a Leopard) Baboons and a few big specimens of other species that he could not pass up. 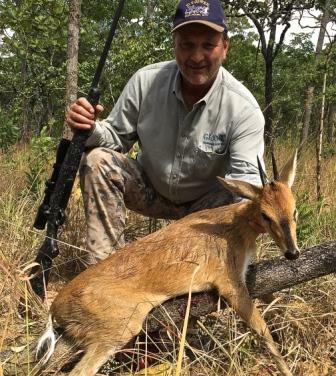 The season in northern Mozambique is June through November. Three openings remain for this season. Now is the time to book those or to book dates in 2016. Contact us for advice on the best months for the various species. Also, you can review pricing and species at www.shunnesonwilson.com.